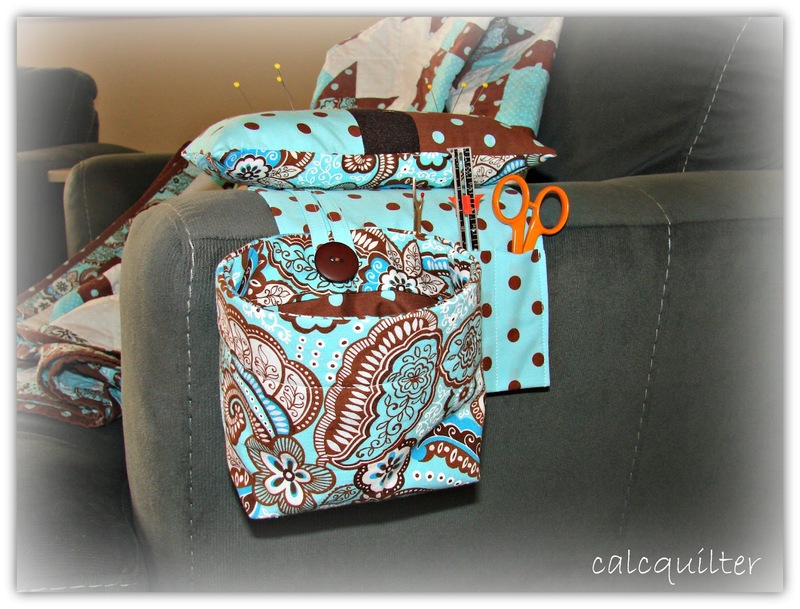 my sewing and quilting time continues to be limited. on the arm of a chair or the edge of a table. 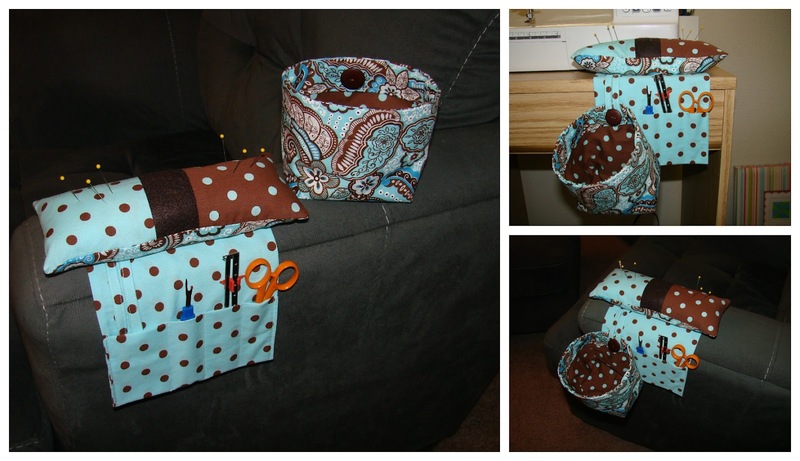 There are several pockets for holding embroidery tools. is removable for stand alone use by way of a button attachment. A very clever pattern from Sew Mama Sew. I'll be cozy and coordinated. 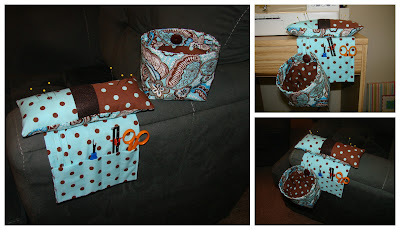 Karen's Sew Darn Crafty Linky Party.